ENRICHED WITH ROSE WAX AND ALMOND OIL. TALC, MICA, POLYMETHYL METHACRYLATE, DIMETHICONE, SILICA, PENTAERYTHRITYL TETRAISOSTEARATE, CETEARYL ETHYLHEXANOATE, ZINC STEARATE, ZEA MAYS (CORN) STARCH, CHLORPHENESIN, POTASSIUM SORBATE, TOCOPHERYL ACETATE, PEI-10, PROPYLENE GLYCOL, PRUNUS AMYGDALUS DULCIS (SWEET ALMOND) OIL, ROSA MULTIFLORA FLOWER WAX, TETRASODIUM EDTA, AQUA/WATER/EAU, DIMETHICONOL, TILIA CORDATA FLOWER EXTRACT, METHYLPARABEN, ETHYLPARABEN, PROPYLPARABEN, BUTYLPARABEN, [MAY CONTAIN: TITANIUM DIOXIDE (CI 77891), IRON OXIDES (CI 44791, CI 77492, CI 77499). Frustrated by traditional powders that left her clients’ skin looking dull and cakey, Charlotte created her own breathable, micro-fine powder that feels like luxury cashmere to the touch. The soft-focus formula airbrushes away imperfections and locks in an immaculate, luminous complexion all day. 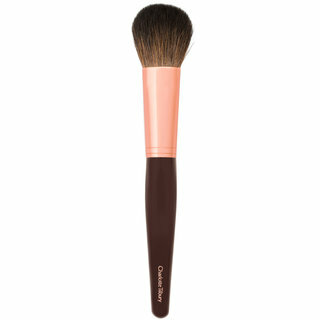 Dust over the skin with Charlotte’s Powder & Sculpt Brush, concentrating on the nose, T-zone, or any other oily areas. For oily skin types looking for a truly flawless finish, start at the T-zone and buff all over the face, working out toward the hairline. So im NW13 in Mac and 1 Fair worked perfect for me. I want to start by saying, I'm use to full coverage because i like too look flawless (like anybody would) i originally use Studio Fic Fluid in MAC and compared to CT Light Wonder, CT is a medium coverage, it doesnt cover AS much BUT it looks so damn natural and cover enough thats NEEDS to be covered. if that makes sense? i watch a lot of wayne goss videos and he always says more than likely your applying too much foundation causing it to look cakey, so i went with this, which he recommend and i love it. i love that i can't feel it on my skin, i love that its more lightweight, and it does cover everything. i just got CT retoucher concealer and tried it today and it made a world of difference. everybody has complemented my skin and how it looks so smooth and natural. and seriously let me tell you I'm FAR from a flawless face. ill post a before and after below DEFINITELY keeping this routine!! 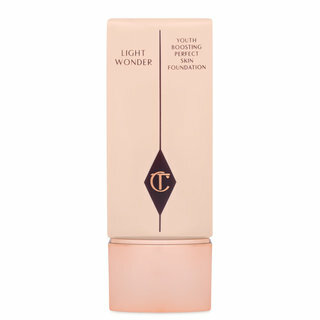 this is what i use now Moisturizer (any kind, any brand) CT Wonder Glow CT Light Wonder CT Aribrush Flawless Finish Powder. When I first looked at powder, I thought it was far to light for medium skin tone (MAC NC 30, the shade I wear this time of year). Needless to say, I was skeptical; so I grabbed my Chikuhodo powder brush and went for it. This powder reminds me of the Hourglass Ambient powders only more soft focus. The powder is super lightweight and really feels like a kiss of air on the skin. This powder has super fine sheen to it, and I just cannot describe the texture of it. Well, wait.... If anyone remembers the MAC Magically Cool Liquid powder, that's what Charlotte's Finishing powder reminds me of. 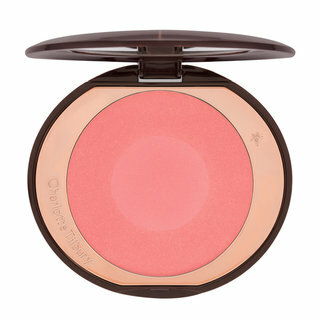 It doesn't sit in pores or settle in lines....It's just an uncomplicated pretty powder that looks gorgeous on the skin. There are 3 shades of this powder, and I intend to purchase the other 2 powders in Light and Dark for my kit. I highly recommend this powder. Well worth the $$. I got this powder to set my makeup under my eyes and in my t-zone. 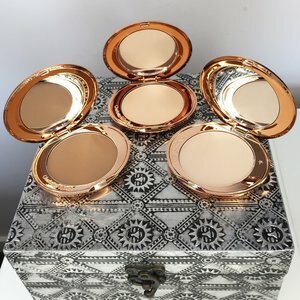 I'm in my 50's and still in the entertainment industry, so having a flawless face all the time when working is a must, and this pressed powder relievers. Because I have been a sun worshipper coupled with my age, fine lines are a product that until I elect surgery, are a problem. This powder makes that area smooth and maintains the brightness for hours after I applied it. It's a 5 star product! This is the most finely milled pressed powder I have found. It's so soft and buttery and a little dust of this on your t zone and around the nose will give you the airbrushed finish that the product is named for. It melts into your skin, is considered long wear and doesn't cake or flake off. For fair to medium the #3 is beautiful for a warm contour shade. I would like to see more of a shade range from her in the future. When I first saw this online I knew I had to get it because the packaging itself is just stunning! I have heard so so many good thing about Charlotte Tilbury's line, so I placed in an order as soon as it's launched in the US. Packaging: 10/10- Just beautiful. Very light and compact. Definitely an attention grabber! Formula: 9/10- Very finely milled. Feels really silky on the skin. The only thing that annoys me a bit is that you have to be very careful and very light-handed when you use your powder brush to pick powder from the pan. If you go a little heavy-handed, your face will end up looking chalky. But if you keep blending it will eventually melt in. Longevity: 10/10- I have uber oily skin, but no re-touch needed using this powder. Lasts about 5 to 6 hours, and that's usually how long I stay out. Occasionally I would use a blotting paper to absorb oil appearing on my nose and forehead, but that's just normal to me. I have always struggled to find a powder that keeps my oily skin under control, that doesn't cause me to break out and that doesn't look chalky. Now I can say that I have finally found the one! I used to use foundation powders although I liked the amount of coverage I found them too heavy and my pores were always blocked at the end of the day. 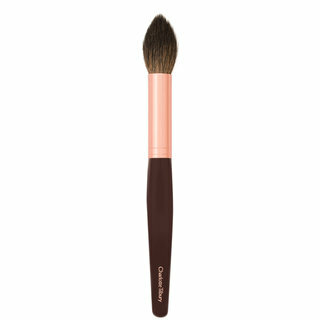 With this powder it really does what it says on the tin as it airbrushes skin into perfection. The powder is so finally milled that it never looks chalky or heavy but it covers and keeps oily skin at bay. 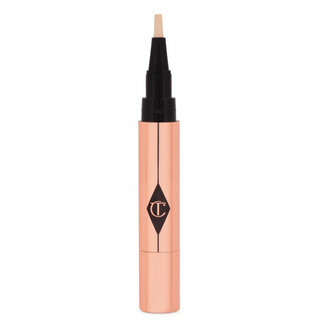 Apply it on the t-zone and on the chin leaving the cheek bones free so they look illuminated and dewy. I originally got the dark shade and realized that it was a tad deep for me. The dark shade however pairs well with my Kevin Aucoin SSF in #8, since that's my lightest shade foundation. Hence I got the medium shade and it is perfect for my other foundations. Foundation colour references: KA SSE SX11/KA SSF #8/ND Glow #75/By Terry Moisturizing CC Cream in Tan/MAC NC43.5 in Studio Fix. 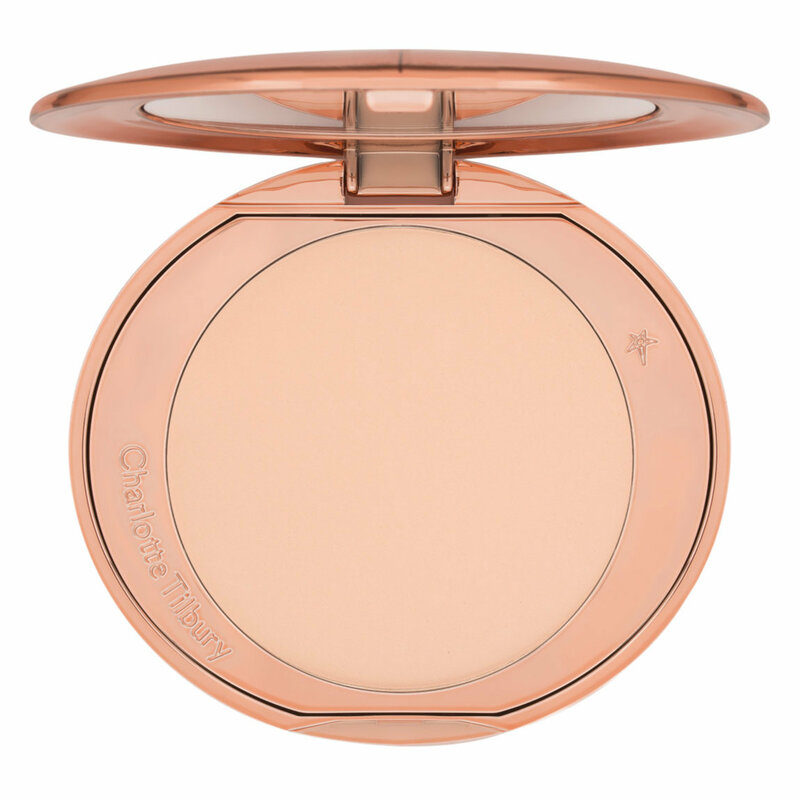 It looks misleadingly too light in the compact for a medium-deep skin tone like mine. But upon application, it blends well and leaves my skin looking soft and feeling smooth. It's not drying and doesn't feel cakey or heavy on the skin. Doesn't settle into creases under my eyes. This would have to be the most fine milled powder I have found. It is definitely worth the money. I have bought all 3 shades for my kit and don't know what I would do without them. 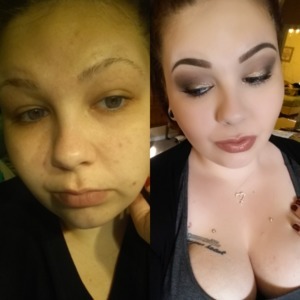 Less foundation is needed and this just tops it off without looking like you've had to use so much foundation and then a layer of powder. Great pigment and has a soft buttery light feel. I wish there were more colours. I am in between NC20 and NW20, i was a little confused as which shade to purchase. After alot of search and reading reviews got the medium shade. Its a little too yellow for me. BUT! let me just tell you how beautiful the powder. its like silk on my skin, i have all sorts of skin problems, acne prone, large pores, dry patches, sensitive skin, oily, redness. THIS POWDER caters to everything and caters very well. Looks beautiful, definitely smoothens my pores and fine lines, doesnt settle on my dry patches! love love love it. thinking of getting the light shade so that i can mix the two and apply.